You can always count on Sunnyside ! 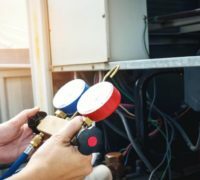 Toronto’s Trusted HVAC Service Contractor! We've been the trusted choice for Toronto area HVAC services for over 25 years. 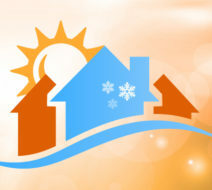 SunnySide Heating and Air Conditioning has served the Toronto area for over 25 years. A lot has changed in the industry since we did our first job, but our commitment to provide the best products and exceptional customer service has remained the same—and it will as long as we’re in business. During our nearly 25 years of service to the community, we have earned many awards and accolades. We’re proud of those achievements, but the praise that we love most comes directly from our satisfied customers. When you need HVAC services, choose SunnySide Heating and Air Conditioning—Toronto’s trusted HVAC service contractor. •	HVAC Installation: We install top-rated products that provide the performance you expect along with money-saving energy efficiency. 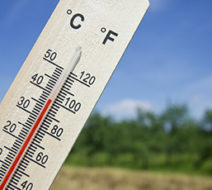 •	HVAC Repair: We offer same-day service on all repairs as well as 24/7 emergency repairs. Our services come with a one year repair guarantee. 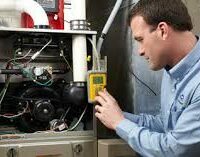 •	HVAC Service: Keep your system running smoothly with our affordable annual maintenance service. •	Air Quality Solutions: Breathe easier with our air purifiers, duct cleaning service, and other air quality services. •	Our technicians are licensed, background-checked, and complete ongoing training. •	We offer upfront pricing with no hidden fees or extra charges. •	We’re available when you need us with no additional fee for after-hours calls. •	Competitive pricing and flexible financing makes it easier to budget for the quality updates and repairs you need. •	Our products and services are backed by industry-leading warranties for your peace of mind. The team at SunnySide Heating and Air Conditioning is ready to help you with all of your HVAC needs. Call today or fill out our simple online form to get in touch with an HVAC specialist and schedule an appointment today.